Anyone fitted a microswitch in a v2 gearbox? Been having some semi-auto firing issues on a gun, switching to full auto for a burst and then back seems to clear it. wanted to move to lipos and fit a mosfet anyway so stripped it down to take a look and sure enough the trigger contacts are charred and carbon'd. now I can just buy a direct replacement contacts for not much money but it seems a better idea to install a microswitch, but I can't seem to find much info out there about it being done or what the success rate is like? They are only a few quid so I might just buy one anyway but wanted to garner some experiences if they are out there. There are no direct replacement micro switches that just drop into a GB. other than the Specre and ASCU ,but they are certainly not cheap. I have one of these http://www.ak2m4.co.uk/internal-parts/gearbox-shells/zci-gearbox-shell which are very nice, but sell out quickly. Been having some semi-auto firing issues on a gun, switching to full auto for a burst and then back seems to clear it. Installing a microswitch won't solve that. You need to pull the trigger fully, all the time. For the sake of clarity I already bought the mosfet (and some other bits) to rewire the gun so that is getting done either way. Bought a couple of micro switches as they are so cheap to have a play with, if I can't make it work easily then it is only a few quid and a bit of time wasted. Hey Simon, the gearboxes are pretty nice however they are not for every build because they won't fit in standard upper receivers without some modding unfortunately. They are around 5mm longer than standard V2 gearbox shells, similar to what ARES use. Personally I prefer the old style trigger system but with the quick release spring guide that are the same dimensions of the standard V2 shell - I'm starting to see more and more of these hit the market. (similar to the one in the pic below). Dont know why so many people bang on about trigger response even a bog standard V3 is pretty instantaneous and the follow up shot is pretty quick and they have a much longer trigger pull than the more common V2. Most people lose out because they react too slow not the trigger. Dont blame the tool improve the workman. Want a short trigger pull? Get a BTC Spectre. Job jobbed. Just to be aware, some mosfets cannot cope with microswitch trigger units. 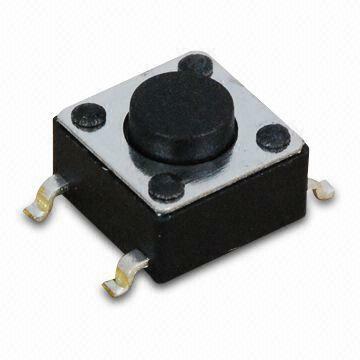 You need a modern one like the current generation of GATE mosfets that have debounce circuits on the trigger contacts. Otherwise your motor is going to have a bad time. Had plenty of gearboxes apart, changed gears, pistons, motors etc just never done anything on the electrics side but do have a background in car and home audio mods so am fairly comfortable with what needs to be done. I did get the 14awg into a classic army m6 with no dremeling, routed the trigger wires around the outside to make it work. But had to change it to rear wired rather than front wired. Need to pull that apart to fit a new piston as the one in it is showing some wear and I didn't have one handy to fit, so am going to change it back to front wired on the PTFE wiring I've ordered. That will be the test bed for the micro switch as well. Sorry but I think you're wrong. No microswitch I've ever used has had no switch bounce and that includes the high end stuff I used to use for aircraft spec systems. It's just the nature of the beast. and I broke a bloody selector plate fitting the damm thing back together!